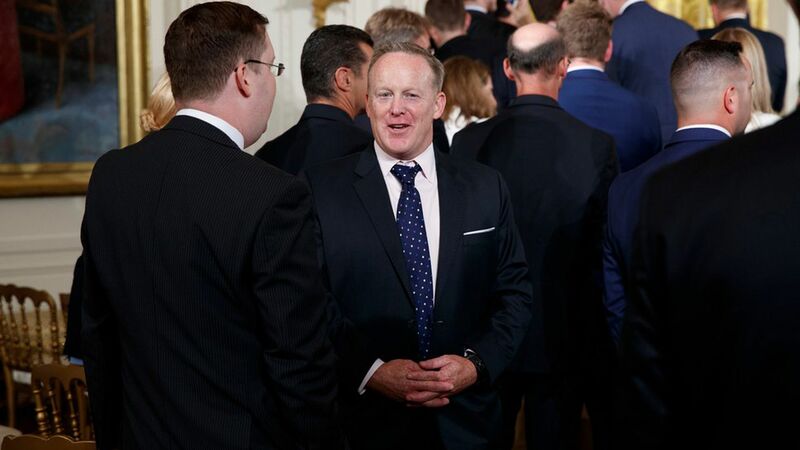 Sean Spicer will be speaking later this month at Shale Insight 2017 in Pittsburgh for a public-private discussion on shale development and gas-drilling technical insights, the conference organizers announced Wednesday. Trump spoke to the conference last year as a presidential candidate. Context: Trump's former press secretary has just signed a deal with Worldwide Speakers Group, and Spicer could get paid more than the typical $20,000-$30,000 previous White House press secretaries have received for speeches. Before the shale event in Pittsburgh, Spicer will be talking at investment bank Rodman & Renshaw's annual conference September 11.